Are you looking for a new car, or are you just curious about what’s out there? There’s a reason that the ubiquitous list of recommendations is so valuable, because it’s common knowledge that a new car buyer should be always be prepared with the most up-to-date information available. Never walk into a dealership blind, because it’s too easy to get confused, which could result in an expensive mistake and a car you might not actually like. Have some idea of what you want, what you need, and what you can afford. Even for the most savvy new car shopper, sometimes, learning about the top 10 new cars can provide a few surprises. The top new cars list is always a good place to start your research – even if your tastes run away from the mainstream and you don’t end up choosing one of them, they’re a solid indicator of what’s new, innovative and popular in the car industry. Whether you’re seriously shopping or casually browsing, our top 10 new cars list is a good place to go before hitting dealer lots, to get an understanding of what features you might like and what new options are gaining momentum. 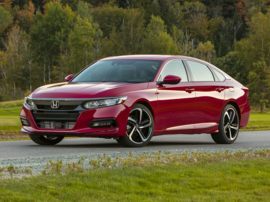 You’ll also get an idea of how much it’ll cost to get one of these new cars in your driveway, which is a major help when planning your new car purchase. There’s often a lot of variation among the top 10 new cars to buy, so our list can help keep you from getting overwhelmed as you sort through them all: the different classes, the various styles, and the ever-crucial price points, along with the endless combinations of features and options. Getting a new car should be fun, and reading up on top 10 new vehicles doesn’t have to be difficult or stressful.